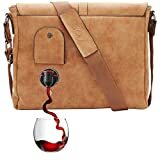 This cool new PortoVino Wine Purse looks like an everywoman's tote, but it cleverly conceals a bladder capable of holding 1.5 liters of your favorite liquid refreshment. 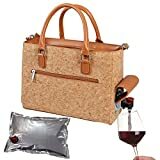 Using a clever play on words, the purse is likely named after the Italian seaside town, Portofino, but taken literally, it means to "carry wine." 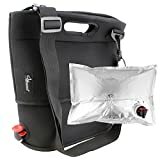 The cute polka dot interior has an insulated pouch to hold and hide the bladder and has two organizer pockets so you can carry your other essentials, as well. 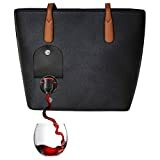 A stylish exterior flap hides a spout for you to inconspicuously dispense your beverage and conveniently helps you make any night even better.